В исследовании анализируются проблемы современной демократии как наиболее сложной системы власти, нуждающейся в достаточно высоком уровне самосознании граждан. Подчеркивается значимость духовно-нравственных основ демократии, без которых она легко вырождается в свою противоположность. Отмечается, что сегодня демократия из политического идеала народовластия превратилась в геополитическую доктрину однополярного мира. Ключевые слова: геополитика, духовно-нравственные основы, суверенная демократия, гражданское общество, народовластие, самосознание, тоталитаризм. Аксаков И.С. Народ, государство, общество // Наше знамя — русская народность. М.: Институт русской цивилизации, 2008. C. 67–100. Гегель Г.В.Ф. Философия права. М.: Мысль, 1990. Ильин И. О грядущей России. Джорданвилл, 1991. Кантор М. Красный свет. М.: Изд-во АСТ, 2013. Лаптева Е.В. Тема «русской демократии» в американской политологии и современных научных и общественно-политических изданиях США // Демократия в современном мире: Сб. ст. М.: РОССПЭН, 2009. С. 97–108. Мамардашвили М.К. О гражданском обществе // Опыт физической метафизики (Вильнюсские лекции по социальной философии). М.: Прогресс-Традиция, 2008. C. 213–247. Махаматов Т.М. Демократия как образ жизни народа. Дисс. … д. филос. н. М., 2005. Новгородцев П.И. Демократия на распутье // Соч. М.: Раритет, 1995. С. 388–404. Панарин А.С. Ностальгические люди (Интервью с А.С. Панариным) // Логика метаисторического времени. М.: Социально-политическая мысль, 2004.а. С. 9-19. Панарин А.С. Реабилитация бедных — логика метаисторического времени // Логика метаисторического времени. М.: Социально-политическая мысль, 2004.б. С. 20-26. Сапожникова Г. Почему Америке есть дело до всего мира? [Электронный ресурс] // Комсомольская правда. 2012. 18 апреля. Режим доступа: http://www.kp.ru/daily/25870/2835183/. Сербиненко В.В. Русская идея и перспективы демократии в России // Метафизика социокультурного бытия в опыте русской философии: коллект. монография. Ставрополь, 2010. С. 294–316. Сердобинцев К.С. Гражданское общество и государственный правопорядок: социально-философский анализ. Автореф. дисс. … д. филос. 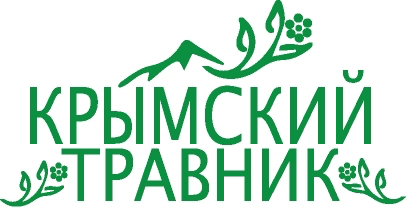 н. М., 2013. Симонова И. Збигнев Бжезинский — «КП»: Америка не сумела обратить себе на пользу распад СССР [Электронный ресурс] // Комсомольская правда. 2012. 14 февраля. Режим доступа: http://kp.ru/daily/25829/2805033/. Солженицын А.И. Как нам обустроить Россию? // Собр. соч. : В 9 т. Т. 8. М.: ТЕРРА-Книжный клуб. С. 7–65. Сурков В. Суверенитет — это политический синоним конкурентоспособности // PRO суверенную демократию: Сб. М.: Европа, 2007. С. 33–61. Федотов Г.П. Н.А. Бердяев — мыслитель // Собр. соч. : В 12 т. Т. 9: Статьи американского периода. М.: Мартис, 2004. С. 278–291. Henderson S. Building Democracy in Contemporary Russia: Western Support for Grassroots Organizations. Ithaca, NY: Cornell University Press, 2003. Owen J.M. "Transnational Liberalism and US Primacy." International Security 26.3 (Winter 2001–2002): 117–152. Trenin D. "Russia Leaves the West." Foreign Affairs 85.4 (Jul/Aug 2006): 87–96. Tsygankov A.P., Tsygankov P.A. "A Sociology of dependence in International Relations Theory: A Case of Russian Liberal IR." International Political Sociology 1.4 (2007): 307–324. Нижников, С. А. Проблемы современной демократии и гражданское общество [Электронный ресурс] / С.А. Нижников // Электронное научное издание Альманах Пространство и Время. — 2014. — Т. 6. — Вып. 1: Гражданское общество и общество граждан: вопросы теории и практики. Тематический выпуск кафедры философии политики и права Философского факультета МГУ имени М.В. Ломоносова. — Стационарный сетевой адрес: 2227-9490e-aprovr_e-ast6-1.2014.33. Democracy, the rule of law, and civil society cannot exist without the authorities’ and the people’s mutual responsibility: citizens are also required to obey the law and be responsible for any breaches in accordance with the legislation. Nowadays, civil society is defined as an organized and internally ordered sphere of human activity free from any direct influence of the state and its officials. However, there are several persistent myths regarding civil society that are intensely imposed on society. The first one concerns the absence of civil society in Russia. The next myth concerns opposing civil society and the state to each other, as if they had no common goal — creating a well-functioning society. Another myth refers to accusing the authorities of the absence of civil society. We are currently in need of consolidating civil society and the state, because they have the same goals and objectives, and the same country, Russia, which is obviously easy to destroy and lose while talking about “democracy” and “civil society”. It already happened in 1917, and repeated in 1991. The government cannot solve the problems society faces without being supported by civil society. Today, the Russian authorities realize this and are committed to this goal. In addition, there are theoretical problems originating from a specific type of social relations, which are distinctive and country-specific. A.S. Panarin (1940–2003) understands civil society primarily as ‘united by certain values or ideas’. It cannot be created by ‘atomized individuals’. It implies that individuals must be ready to sacrifice their private lives for the sake of common values and objectives. Civil society is not a mere bunch of ‘angry citizens’; it consists of responsible citizens striving for solidarity and creation, not destruction. Maximalist goals, irresponsible criticism, and corrosive poison of nihilism do not contribute to development; they only endanger society and the state. All the Russian citizens, regardless of their ethnic origin or religious affiliation, need a strong democratic country dominated by social fairness. M.K. Mamardashvili (1930–1990) emphasizes that a simple mechanical combination of people needs a certain kind of connectedness to be transformed into civil society. Without any effort, civil society will disappear the way it happened to the Greeks. Like Dostoyevsky, Mamardashvili regards the ‘drama of the soul’ as ‘one of the historical forces in man’. The outburst of “democracy”, as the Weimar Republic and Russia in 1917 and 1991 demonstrated, may lead to the destruction of sociality instead of constructing a real civil society. All the real things, according to the ancient Chinese wise saying, take place slowly but inevitably. Democracy and civil society in Russia, as in any other country, should be created in accordance with its traditions, standards, and values, and be based on social and cultural heritage, and the dominant mentality. The historical experience of nations is unique; this statement is also applied to the Western liberal model of civil society, where the system of property relations serves as the key factor. However, Russian history reveals the priority of non-economic factors. In Russia, the state has always acted as the main initiator of the development of civil society, especially when it was required to overcome troubled times. As the state acquired despotic totalitarian traits, it certainly could crush all the civil society institutions. Nevertheless, it plays a key part, and it is demanded in today's conditions. One can say about Russia, “The State Is All We Have”. I conclude any social factors should be analyzed on the basis of ‘actual normativity’', i.e. stereotypes developed in other socio-historical context should not be imposed on a certain society, for they are not likely to work in a different environment. Keywords: geopolitics, spiritual-moral bases, sovereign democracy, civil society, democracy, self-consciousness, totalitarianism. Aksakov I.S. "People, State, and Society." Russian Ethos Is Our Banner. 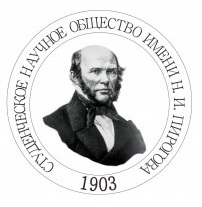 Moscow: Institute of Russian Civilization Publisher, 2008, pp. 67–100. (In Russian). Fedotov G.P. "N.A. Berdyaev as aThinker." Collected Writings. Moscow: Martis Publisher, 2004, vol. 9, pp. 278–291. (In Russian). Hegel G.W.F. The Philosophy of Right. Moscow: Mysl Publisher, 1990. (In Russian). Ilyin I.A. About the Future Russia. Jordanville, 1991. (In Russian). Kantor M. Red Light. Moscow: AST Publisher, 2013. (In Russian). Lapteva H.V. "Theme of ‘Russian Democracy’ in American Political Science and in U.S. Modern Scientific and Socio-political Publications" Democracy in Contemporary World. Moscow: ROSSPEN Publisher, 2009, pp. 97–108. (In Russian). 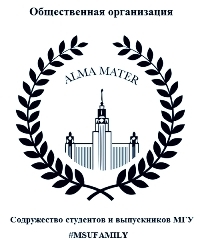 Mahamatov T.M. Democracy as a People’s Way of Life. Doctoral diss. Moscow, 2005. (In Russian). Mamardashvili M. K. "On Civil Society." Experience of Physical Metaphysics: Vilnius Lectures on Social Philosophy. Moscow: Progress-Traditsiya Publisher, 2008, pp. 213–247. (In Russian). Novgorodtsev P.I. "Democracy is in Abeyance." Writings. Moscow: Raritet Publisher, 1995, pp. 388–404. (In Russian). Panarin A.S. "Nostalgic People (An Interview with A.S. Panarin)." Logic of Metahistorical Time. Moscow: Sotsialno-politicheskaya mysl Publisher, 2004.a, pp. 9–19. (In Russian). Panarin A.S. "Rehabilitation of the Poor: Logic of Metahistorical Time." Logic of Metahistorical Time. Moscow: Sotsialno-politicheskaya mysl Publisher, 2004.b, pp. 20–26. (In Russian). Sapozhnikova G. "Why Does America Care About the Whole World?." Komsomolskaya Pravda [Moscow] 18 Apr. 2012. Web. <http://www.kp.ru/daily/25870/2835183/>. (In Russian). Serbinenko V.V. "The Russian Idea and Perspectives of Democracy in Russia." 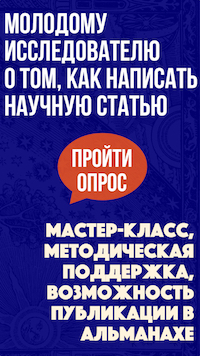 Metaphysics of Socio-cultural Being in Experience of Russian Philosophy. Stavropol, 2010, pp. 294–316. (In Russian). Serdobintsev K.S. Civil Society and State Rule of Law: Social and Philosophical Analysis. Synopsis of Ph.D. diss. Moscow, 2013. (In Russian). Simonova I. "Zbigniew Brzezinski for KP: America Did Not Manage to Take Advantage of the Collapse of the USSR." Komsomolskaya Pravda [Moscow] 14 Feb. 2012. Web. <http://kp.ru/daily/25829/2805033/>. (In Russian). Solzhenitsyn A.I. "How To Build a New Russia?." Collected Writings. Moscow: TERRA: Publisher — Knizhny klub Publisher, 2005, vol. 8, pp. 7–65. (In Russian). Surkov V. "Sovereignty is a Political Synonym of Competitiveness." PRO Sovereign Democracy. 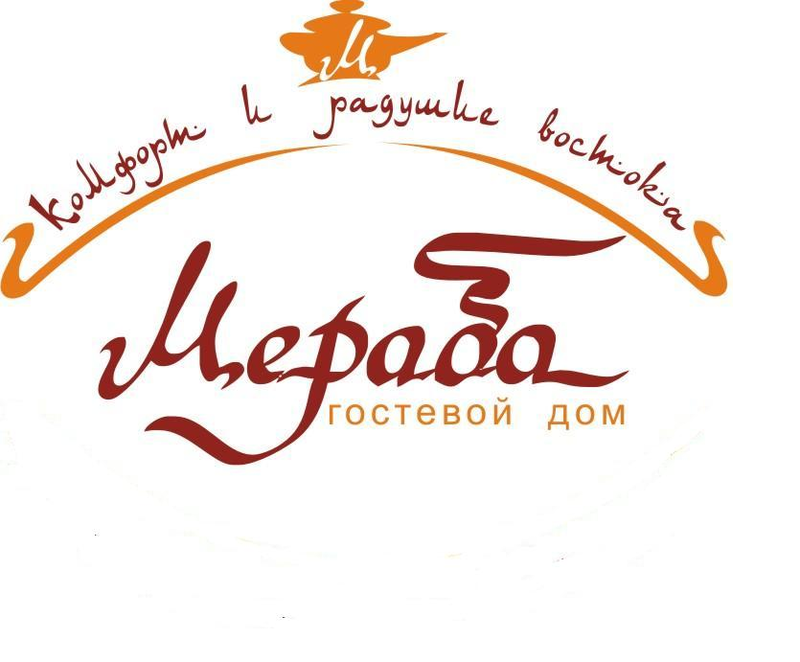 Moscow: Evropa Publisher, 2007, pp. 33–61. (In Russian). Nizhnikov, S. A. "The Problem of Contemporary Democracy and Civil Society." Elektronnoe nauchnoe izdanie Al'manakh Prostranstvo i Vremya [Electronic Scientific Edition Almanac Space and Time. Civil Society and Society of Citizens: Issues of Theory and Practice. Thematic Issue of the Chair of Philosophy of Politics and Law, Philosophical Department of Lomonosov Moscow State University] 6.1 (2014). Web. <2227-9490e-aprovr_e-ast6-1.2014.33>. (In Russian).